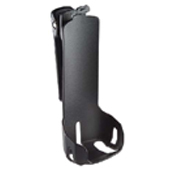 Replacement Swivel Belt Holster for the durable holster that comes standard with each DTR Series .. This microphone hang-up clip is compatible with all Motorola microphones. It mounts in vehicle to.. This product is a Bronze 2.5" Belt Clip. ..